It was a big day for hemp supporters in Australia yesterday, with a ban on the sale of hemp seed foods finally officially lifted. Australia was the last country in the world to have a ban on all forms of hemp seed foods, including oil. After years of efforts in addressing the ridiculous situation, Ministers supported a draft standard allowing hempseed to be sold as a food at a Australia and New Zealand Ministerial Forum on Food Regulation in April this year. However, changes to the Food Standards Code didn’t come into effect until yesterday. 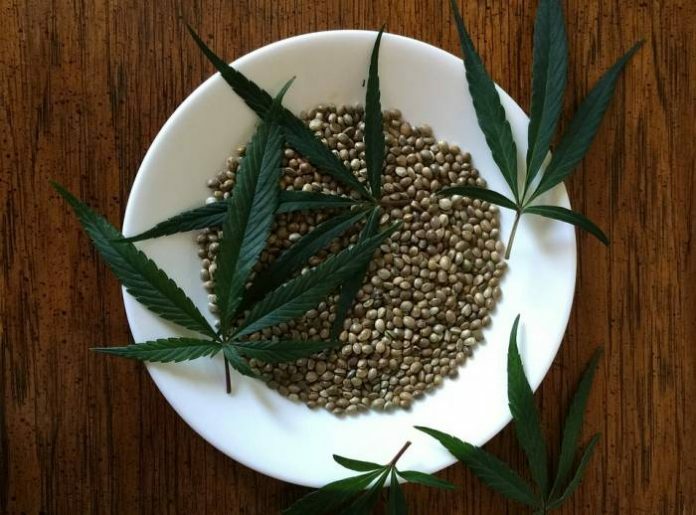 the seeds are of a Cannabis sativa plant, the leaves and flowering heads of which contain no more than 1% delta 9-tetrahydrocannabinol (THC – a psychoactive compound). the total combined amount of delta 9-tetrahydrocannabinol and delta 9-tetrahydrocannabinolic acid (THCA) in the seeds does not exceed 5 mg per kilogram of seeds. the only cannabinoids present in the seeds are naturally occurring in or on the seeds. if for retail sale – the seeds are non-viable and hulled (that is, the outer coat has been removed). With regard to hemp seed oil (not to be confused with cannabis oil – a very different product), the total combined amount of THC and THCA must not exceed 10 mg per kilogram of oil. The rule for using hemp seed in beverages states the total combined amount of THC and THCA cannot exceed 0.2 mg per kilogram of the beverage. More on the variations to the Food Standards Code can be viewed here. There will also be tight restrictions on how hemp seed foods can be marketed. For example, imagery such as a cannabis leaf can’t be used, nor can the word “cannabis”. Many vendors have been gearing up for the big occasion and it’s expected there will be a huge array of food products immediately available for Australians to try. Hemp seed is often referred to as a superfood, but unlike some others with the same label, it’s probably more deserving of the reputation. According to a News.com.au report, an Australian Medical Association (AMA) spokesman said hemp seed products were likely to be given a five-star health rating; the highest possible rating. Learn more about hemp seed and industrial hemp.